You always hear stories about how difficult and challenging a relocation can be. However, we are here to tell you that it does not have to be so. With the help of All in One Moving NJ, you won’t have to worry about the common tasks of relocation. What makes us so confident? 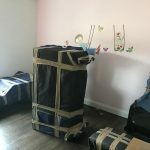 It’s simple really – with the accumulated experience and knowledge of our Ramsey Movers NJ, you will be able to enjoy your move to Bergen County NJ. It is no coincidence that our NJ movers are regarded as the best among relocation companies in New Jersey. So, all you have to do is contact us and get your free estimate. Secure a safe and positive relocation experience with the best Ramsey Movers NJ. What should one expect from reliable Ramsey Movers NJ? What good are local movers without a well-established reputation? People say that as long as you do good business, your reputation will grow accordingly. And this is state of mind All in One Moving has when it comes to local relocation NJ. We believe that each move, no matter how small or big, is unique and deserves the same amount of devotion from our moving crews. This is why we strive to always go the extra mile for our customers and demonstrate to them how important their move is to us. And it is with this principle that our Ramsey movers have become so well-known in Bergen County. Our Ramsey movers make sure that all the moving services they provide fit your budget. All in One Moving NJ has a clear understanding of the current economy and the financial capabilities of our clients. With this in mind, we always look to accommodate your budget as much as possible. Once you contact us, we will take our time to explore your relocation requirements and provide you with the best price possible. We are always open for negotiations and will look to meet you half-way if there are certain aspects of the move you would prefer to do on your own. This way, you can even make possible a larger investment into the purchase of an affordable home in NJ. Nobody really wants to hire professionals without any prior experience in their field of expertise. All in One Moving understands this, which is why we stand behind the capabilities of our Ramsey movers. The moving crews we employ possess extensive knowledge about the inner working of efficient residential and commercial relocation. From packing to transportation and unloading, we will make sure that your move is covered from beginning to end. No matter how knowledgeable or capable you are, it does not give you the right to mistreat clients. Our Ramsey movers are trained to work alongside the customer and provide them with the best moving solutions in accordance with their wishes. We believe that a relocation is a great decision that holds the promise of a new beginning and a better life. So, we make it our goal that our customers are happy with the moving services they received at the end of the day. Moving should be a positive experience, and our moving and storage company is here to make it so. 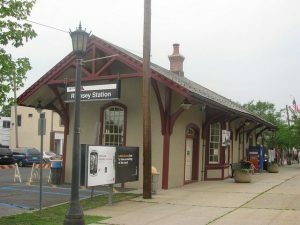 What can you come to expect from Ramsey NJ? You will love Ramsey! 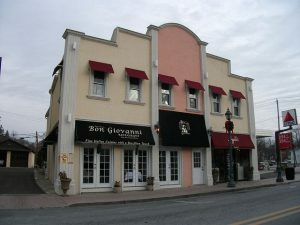 It’s a really nice family-oriented town, but also has a nice downtown area with plenty of restaurants etc. Plus, you have Ridgewood close by too with a nice downtown as well. Even without having children you can socialize with others. There is a newcomers group and a junior women’s club which are great places to make friends. Explore some of the great locations in Ramsey once your move with All in One has been complete. And if you commute into NYC, you even make commuting friends on the train or bus because you see the same people everyday! So, you will have no trouble to find everything you need. And our Ramsey movers are the ones to get you there. Ramsey has an old-style downtown cinema with two screens. It closed in 2013, but reopened in 2014 after a successful Kick-starter campaign raised the funds needed for updated projection systems. When it comes to religion, Ramsey has six houses of worship. These include: First Presbyterian Church, Lutheran Church of the Redeemer, St. Paul’s Roman Catholic Church, St. Paul’s Ukrainian Catholic Church, St. John’s Episcopal Church, and Grace Baptist Church. For those looking for recreation and outdoor enjoyment, here are some suggestions from our Ramsey Movers. Located on Lakeside Drive, the Ramsey Golf and Country Club is quite the establishment. It has a 18-hole golf course, the Lakeside Grille restaurant, swimming pool, picnic area, playground, tennis courts and a banquet room. So, the utmost perfection for any recreational needs or special events. A playground, picnic areas, eight baseball and softball fields, a street hockey rink, and basketball courts. All these are just parts of Finch Park. There is a memorial for the attacks on 9/11 with its own parking area located on Gertzen Plaza. 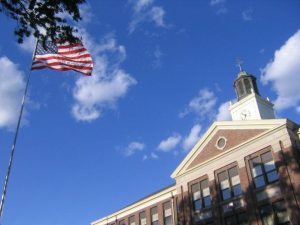 The park is headquarters of the Ramsey Recreation Commission, and in the summer months, it has a summer camp in Finch Park for Ramsey students in kindergarten to 7th grade. Behind Tisdale Elementary School, there are two softball fields that are open to the community. Located on East Oak Street is the Ramsey Municipal Pool. It has a newly renovated pool and waterslides, a recreational field and pavilion, and beach volleyball and basketball courts. There are five tennis courts and a running track that are open to public use just behind Ramsey High School. There are four fields with night lights in Ramsey, the RHS football field and the newly build Creamer Field being just two of them. And if you are looking for a small lake with areas to fish, picnic benches, and hiking trails – Suraci Pond is the perfect setting for you. A similar recreational area exists at Garrison Pond on Lake Street.